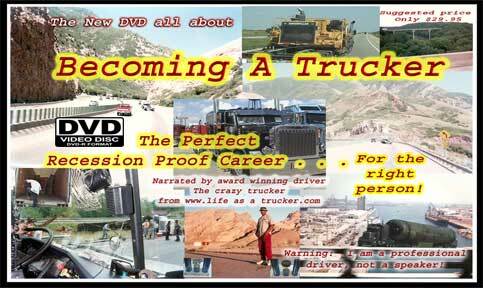 Becoming a Trucker DVD is over an hour long, but it is a tool, not a movie. Note: If you are actually going to read through most of the stuff on this website you don't really need to buy the DVD. 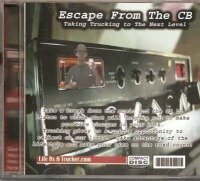 If you want to sit back and relax instead of reading or if you want to give the DVD to someone else you know that is interested in becoming a trucker, then this DVD about trucking is perfect for you. What's on "Becoming a Trucker 2011"? Here are some of the issues covered on the dvd. How Much Does CDL Cost? Becoming a trucker could very well be one of the best decisions you could make. It all depends on you and your situation at home. However, don't make mistakes of many by not carefully considering all it means to become a trucker. There are sacrifices and compromises that comes with becoming a trucker. However when the right person for the job becomes a trucker he or she will only wish they would have started earlier. 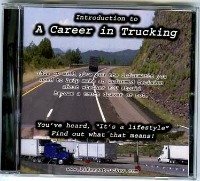 This DVD will make sure that you consider things that others sometimes take for granted when deciding whether to become a trucker or not. When this happens, a driver ends up miserable and depressed. We don't want that type of driver on the road. It's not good for him (or her) the family, the company, or the other drivers on the road or the customers. We also don't want families to suffer because they didn't properly evaluate the lifestyle change they will undergo should a member decide to become a driver. Watching this DVD will help you to make a good judgment on whether you should become a driver or not. You will learn some of the things to do before becoming a driver. You will learn how to be successful and remain marketable so that you can work at the best companies as a truck driver should you decide to join us out on the big road. Of course most of this information is readily available for free right on the 300 plus web pages. So if you don't mind reading by all means, sit back and relax and enjoy the site. I want to check out the rest of the website first!